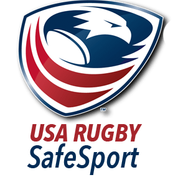 The State of Florida Youth Rugby Union will adhere to the By-Laws as stated here and comply with the Rules and Regulations of the Florida Youth Rugby Union and USA Rugby. These By-Laws set forth the structure by which the State of Florida Youth Rugby Union shall operate. They may be amended and/or repealed at the scheduled meetings of the Union Board, by a two-thirds majority of the eligible votes of the members present, providing there is a quorum. If a quorum is not available, the amendment and/or application for repeal shall be tabled until the next regularly scheduled meeting of the Union Board. Section 2.1 GENERAL. 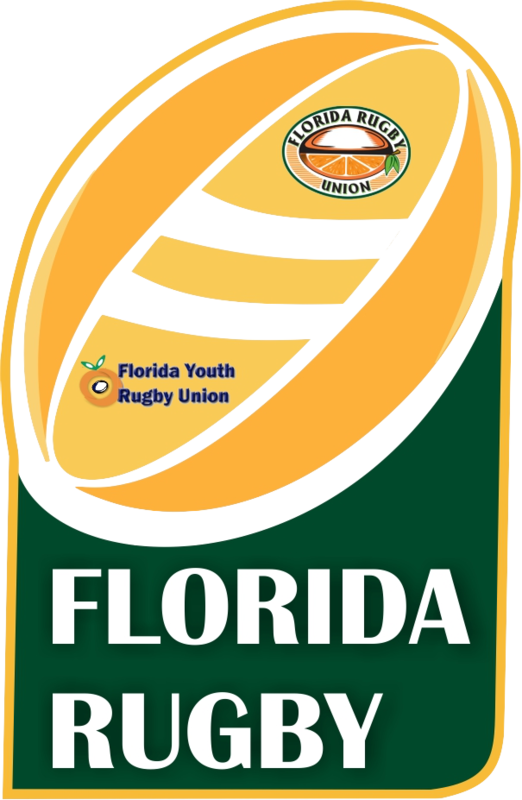 The purpose of the State of Florida Youth Rugby Union, hereafter called the FYRU, is to be a charitable sports corporation formed to promote the development, participation, and enjoyment in youth rugby. The Corporation shall be autonomous in its governance of the sport of rugby in Florida and shall determine and control all matters central to such governance, shall not delegate such determination and control, and shall be free from outside restraint. This provision shall not be construed as preventing the Corporation from contracting with third parties for administrative assistance and support in connection with its purposes. (m) To encourage donations to the Union for the above purposes, to raise funds when insufficient funds are available from dues and grants, and to hold fund raising events to further the development of rugby in Florida. Section 2.3 WORLD RUGBY RULES. FYRU shall automatically adopt all Laws of the Game as may be promulgated by World Rugby from time to time, without any further action required by the Board of Directors, or any officer or committee of USA Rugby. USA Rugby will publicize any such Law changes. Local Union variations may be adopted as presented by committee and voted on by the Board. Section 3.1. Authority and Powers. Subject to the rights of the Members and any limitations set forth elsewhere in these Bylaws or the Certificate of Incorporation of the Corporation, the affairs of the Corporation shall be under the general direction of a Board of Directors (also referred to herein as the “Board”), which shall administer, manage, preserve, and protect the property of the Corporation. The role, powers and duties of the Board shall be to make policy for the Corporation as the State Youth Governing Body of the sport of rugby consistent with the goals and objectives stated within these Bylaws, to determine the membership of the Corporation as set forth herein, to recommend all dues and fix all fees to be paid by the members of the Corporation, to raise funds for the use and benefit of the Corporation, and to oversee implementation of policy of the Corporation. (c) To appoint, evaluate, and, if necessary, remove the General Manager. (ii) Strategic and annual operational plans and business plans. Section 3.2. Number and Qualifications. The Board shall consist of five (5) voting Directors. The Board shall be composed of persons with a broad matrix of financial, legal, commercial, marketing, sports business skills, international rugby experience, and contacts. Directors shall be elected without regard to race, color, religion, age, gender, sexual orientation, national origin, or physical handicap. All Directors shall be Individual Members of the Corporation. No paid employee of the Corporation shall be eligible to serve as a Director. Section 3.3. Terms. Each At-Large Director shall serve for a term of four (4) years or until such Director’s successor has been duly elected and qualified or until the Director’s earlier death, resignation, or removal. Section 3.4. Nomination and Election. At-Large Directors. The At-Large Directors shall be (a) nominated by the Board at least forty-five (45) days prior to the annual meeting of the Members or other meeting of the members called for the purpose of electing Directors. An open call for candidates will be sent out by the Board and posted on the Florida Union website; (b) elected by the members by a simple majority vote at such meeting; The Board shall nominate two or three people for each vacant position or for each position the term of which is due to expire in such year. The Members shall elect or refuse to elect one person nominated by the Board for each vacant position, but may not elect any person not nominated by the Board. If the Members do not elect one or more of the nominated persons, the Board shall subsequently present to the Members new nominations for such positions for election. Chairman. The Chairman will be elected by a vote of a majority vote of the Directors. A Chairman will serve a term of two (2) years from the date of his election, and will be eligible to serve a maximum of one (1) additional term. Disciplinary Committee. The General Manager will propose three (3) candidates to serve on the FYRU Disciplinary Committee. The candidates will be approved by a simple majority vote of the Directors. Each Discipline Committee member will serve a two (2) year term. If a Discipline Committee member resigns, dies, or is unable to fulfill their term, the General Manager will nominate a replacement who will then serve a full, two (2) year term. Section 3.5. Vacancies. In the event of the death, resignation, or removal of a Director, such Director shall be replaced by a vote of the persons or body responsible for the election of such Director in the same manner required for the election of such Director. Each Director so elected shall serve for the unexpired portion of the term of the Director being replaced, and until the Director’s successor is elected and qualified or until such Director’s earlier death, resignation or removal. If such unexpired term is less than one-half (1/2) of the length of a full term, such unexpired term shall not be counted toward the two-term service limit set forth in Section 5.3 of these Bylaws with respect to the Director elected to fill such vacancy. If such unexpired term is one-half (1/2) or more of the length of a full term, such unexpired term shall be counted as a full term with respect to the Director elected to fill such vacancy for purposes of said two-term service limit. Section 3.6. Resignation. Any Director may resign at any time by giving written notice to the Chairman or the Board of Directors. Such resignation shall take effect at the time specified therein or, if no time is specified, at the time of acceptance of the resignation as determined by the Board. Section 3.7. Removal of Directors. The entire Board of Directors or any individual Director with the may be removed from office for cause upon the petition of at least twenty-five percent (25%) of the members of the Union in office and the subsequent vote of at least 51% of the members of the Union in office. For purposes of this Section 3.7, “cause” shall mean the failure by the Director to carry out his/her duties or responsibilities as a Director or any action or inaction which, in the discretion of the members, materially and adversely affects or may affect the Corporation. Section 3.8. Compensation. No compensation shall be paid to any Director for services as a Director but, at the discretion of the Board, a Director may be reimbursed for travel and actual expenses necessarily incurred in attending meetings and performing other duties on behalf of the Corporation. Section 3.9. Meetings. The Board shall meet at least quarterly at dates and times established by the Board. One meeting designated by the Board shall be the annual meeting of the Board. Special meetings shall be called by the General Manager upon the order of the Chairman or at the written request of a number of Directors constituting a majority of the Directors then in office and entitled to vote. All meetings can be held by teleconference except for the annual meeting which should be held in person with the option of a two-way video conference set if a Board member cannot be physically present. The Board shall constitute the FYRU governing body. It shall operate within the confines of these By-Laws and FYRU Rules and Regulations, and shall not assume any authority or responsibilities unless these By-Laws and Rules and Regulations are amended by the FYRU Board. Section 3.10. Voting. Each club in good standing with the FYRU shall have one (1) vote (hereafter called the eligible vote). Votes may only be cast at a meeting by the ‘members’ present, and not by Proxy. A member may be deemed ‘present’ by electronic means of phone or e-mail during the meeting. Section 3.11. Fund Raising. Each Board member will be responsible for contributing or raising a minimum of $1,000 per year for the FYRU General Purpose Fund. If a Board member is unwilling or unable to meet this commitment, that Board member will be asked to resign. Section 4.1. Appointed Paid Employees. The Board of Directors shall appoint and employ an General Manager to strategically lead and direct the Union’s “Executive Office”. The General Manager is to establish and implement goals, strategies, plans and policies at the direction and discretion of the Board of Directors. The General Manager is responsible for hiring and training new employees to the Executive Office. All new appointments require a final board approval before an employment contract can be enacted. Section 4.2. Appointed Volunteer Positions. At the discretion of the Board of Directors the General Manager shall appoint all volunteer positions within the Executive Office including but not limited to; The Disciplinary Commitee, Referee Liaison, Director of High Performance Rugby, Director of Coaching and Director of Youth Rugby Development. Section 4.3. Elected Committees. Each membership category shall have an elected Management Committee that is responsible to the members for the execution of the Leagues, Competitions, Rules and Eligibility for that membership group. Standing Committees will have an elected Chairman and a representative from each member club shall serve on that committee. The committee members present will elect the Chairman of each committee who have a teams entered into the Conference. The General Manager may recommend, and the Board approves, an Ad Hoc committee to formulate policy, execute programs as may be required to execute the Strategic plan. Any appointment must be a member in good standing of the Union, the Chair may co-opt members to that committee from inside or outside of the membership. FYRU shall hold an annual meeting at a site designated by the Board. The General Manager can approve a new club to become an Associate Member of the Union and be eligible to participate in league play. However, this club will not be eligible to become full FYRU voting member until they are approved by a simple majority of the eligible votes. A. Each club shall be affiliated with and adopt the Rules and Regulations established by the Florida Youth Rugby Union. B. Each affiliated club shall have jurisdiction over its internal affairs, except as herein provided. Each team shall take all precautions necessary to prevent disorder at games. Failure to comply with the World Rugby Charter and World Rugby Rule #20 on code of conduct shall be referred to the Board for appropriate action. Any protests on games played within each club shall be handled by that individual club. Protests on games played within the FYRU shall be presented to the FYRU Disciplinary Committee. No dispute or claim, protest and/or appeal shall be presented to, or defended by, this Union except by the member club’s director or designated representative. Clubs or teams using a suspended or an unregistered player on their roster may be penalized, up to and including suspension from the Union. Clubs using suspended or unregistered coach(s) on their contact games may be penalized, up to and including suspension from the Union. E. Home teams are responsible for providing the field of play. F. FYRU shall establish a funds account to cover expenses generated by Union activities. Approval of the fees will require a majority vote by the Board. G. Teams shall be established in accordance with FYRU Rules and Regulations in order to be eligible to compete with other clubs. H. FYRU shall establish a calendar containing the dates for seasons and tournaments involving inter-club play. J. The Union shall schedule or authorize a scheduling body for all inter-club games, both recreational and competition. K. Referees for inter-club play will be assigned by the Florida Rugby Referees Association (FRRA) assignor (except as otherwise designated by the FYRU Board) and any required fees will be paid by the home clubs representative prior to each game. L. All disputes, grievances, disciplinary appeals, etc. shall be handled under the rules and procedures of USAR. Each club must remain in good standing with the rules and regulations of the FYRU in order to participate in seasonal and league play. Upon dissolution of the FYRU organization, all remaining assets must be used exclusively as defined by the 501(c)(3) regulations. Each team’s bond that is in good standing at the time of dissolution will receive the full bond refund. All remaining assets will go to a charitable sports organization, preferably for the enhancement of rugby, within the state first, or within USA rugby.